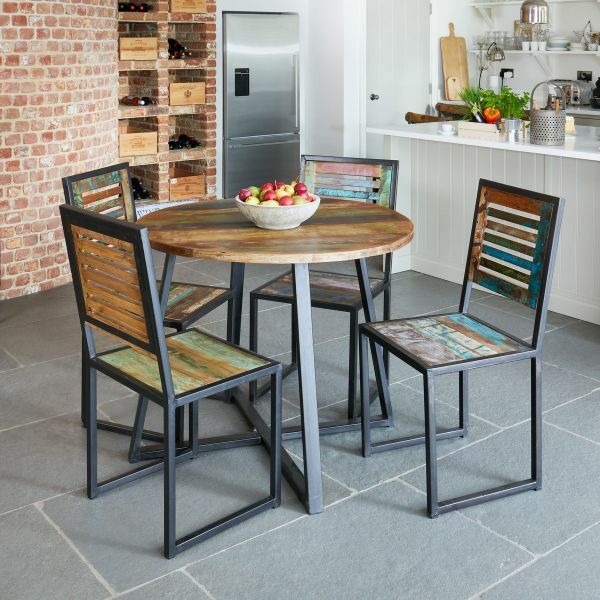 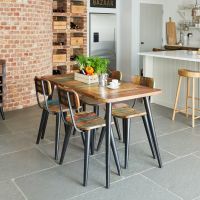 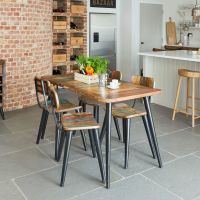 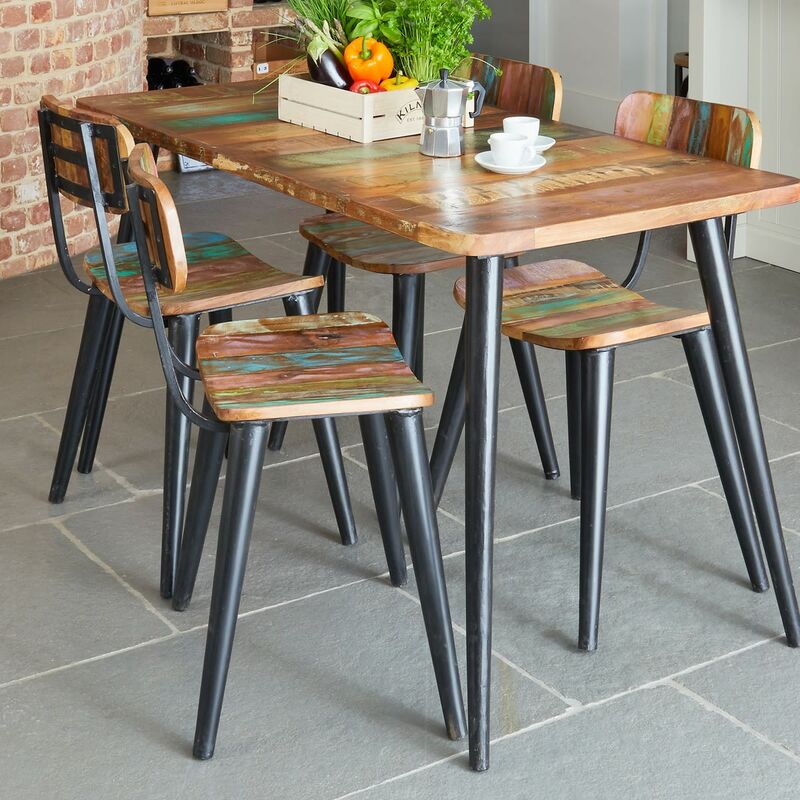 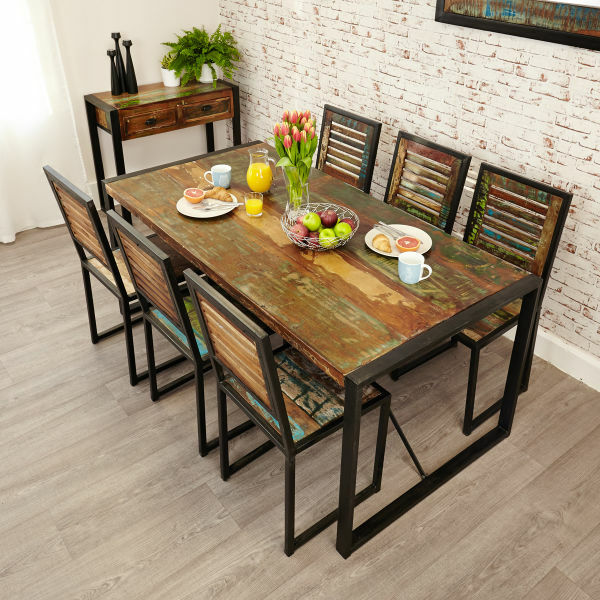 This industrial inspired small Coastal Chic dining set with four chairs will look fabulous in your home with its reclaimed wood combined with contrasting metal legs. 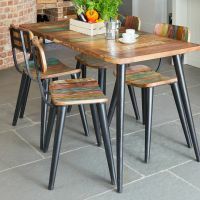 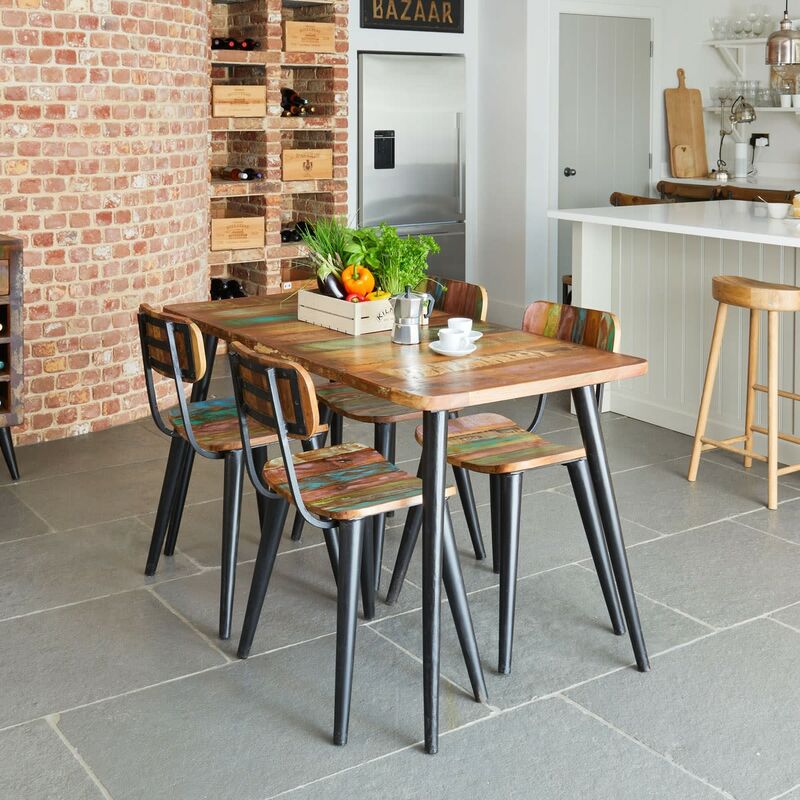 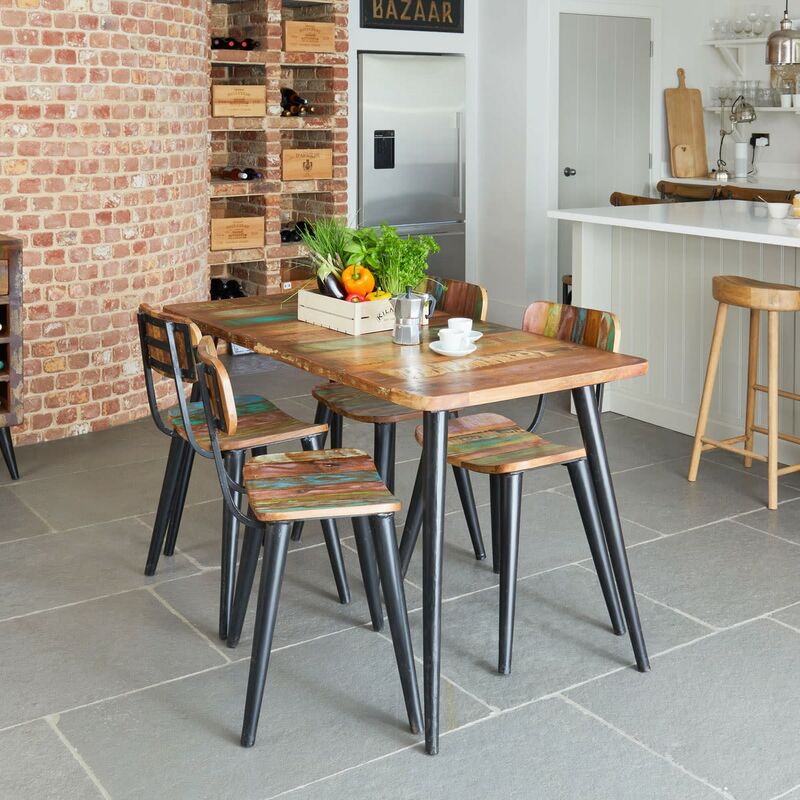 The hardwood used to create the range is sourced from reclaimed timbers from Southern India which still bears its natural colouring and markings, some of the wood used is over 150 years old. 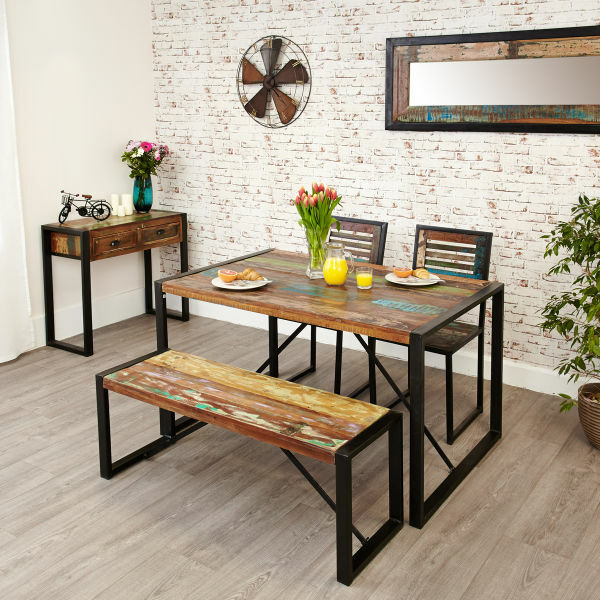 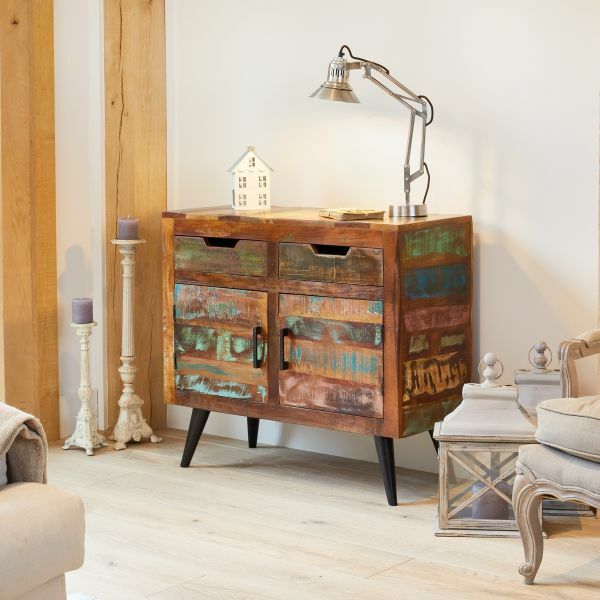 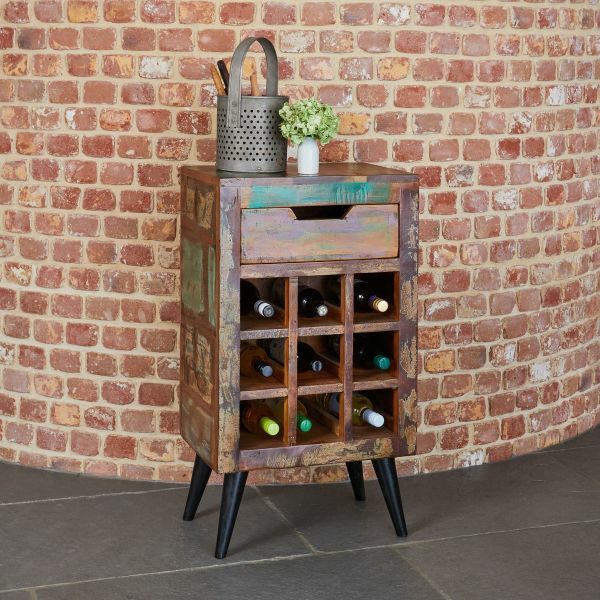 The reclaimed wood is finished with a resilient satin lacquer to highlight the beautiful colours in the timber and ensure that its hard wearing as well as practical, making this is a truly unique set of furniture.